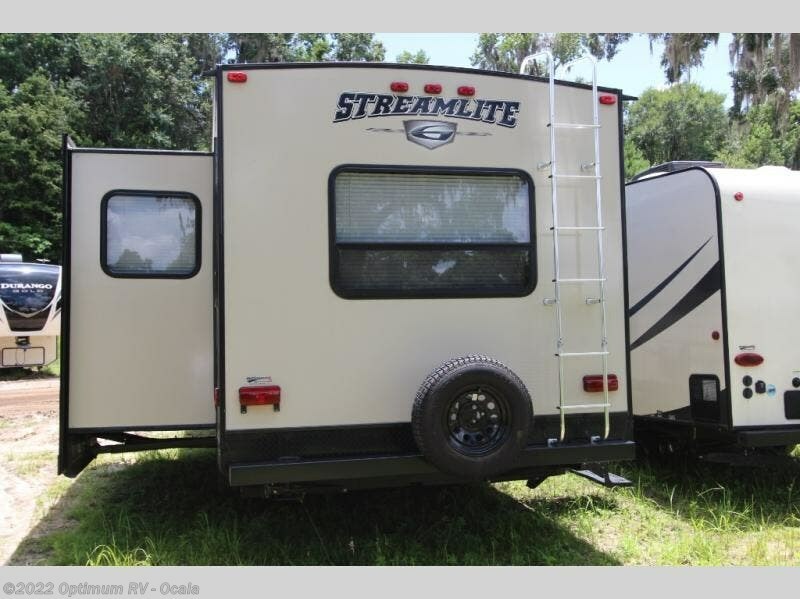 This rear living Streamlite Ultra Lite travel trailer 28TCS features a large single slide, dual entry doors, and all the amenities you need to enjoy spending time away from home. 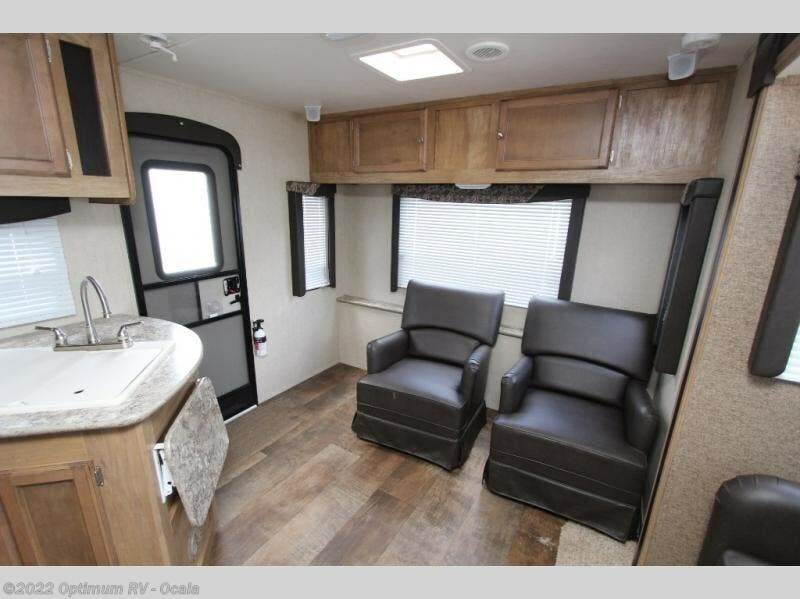 Enter the rear most side entry door and find two lounge chairs with a rear overhead shelf. 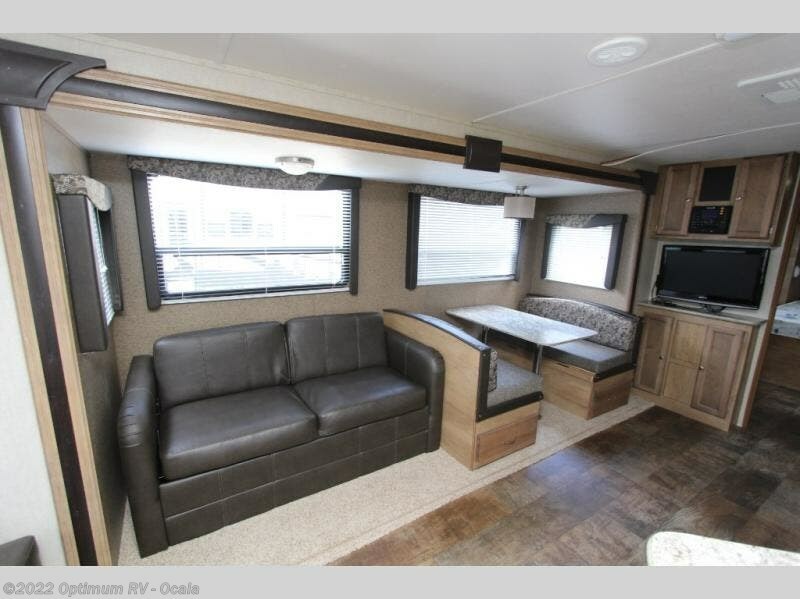 Straight ahead is a slide out jack-knife sofa and booth dinette that features under seat storage. 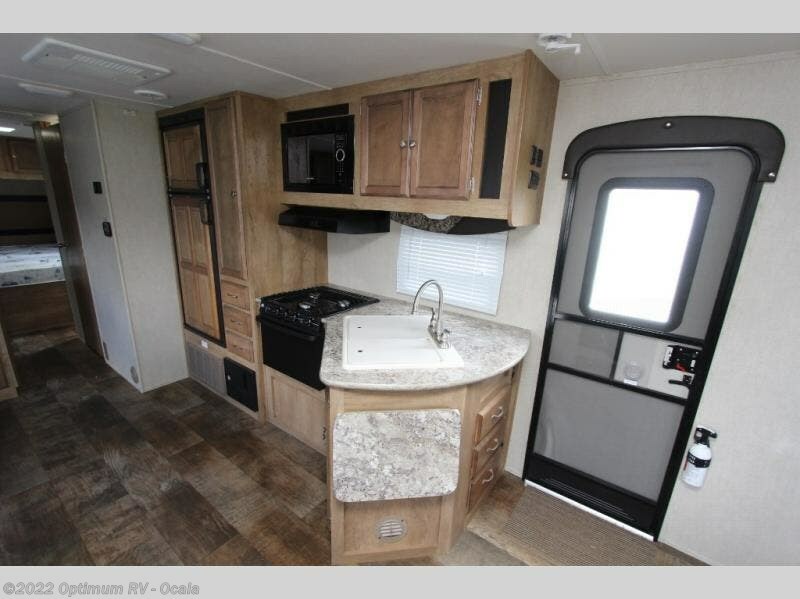 The kitchen offers a double sink, counter space, plus a counter extension off the sink area, a three burner range with overhead, and refrigerator to keep all of your perishables cold and fresh. 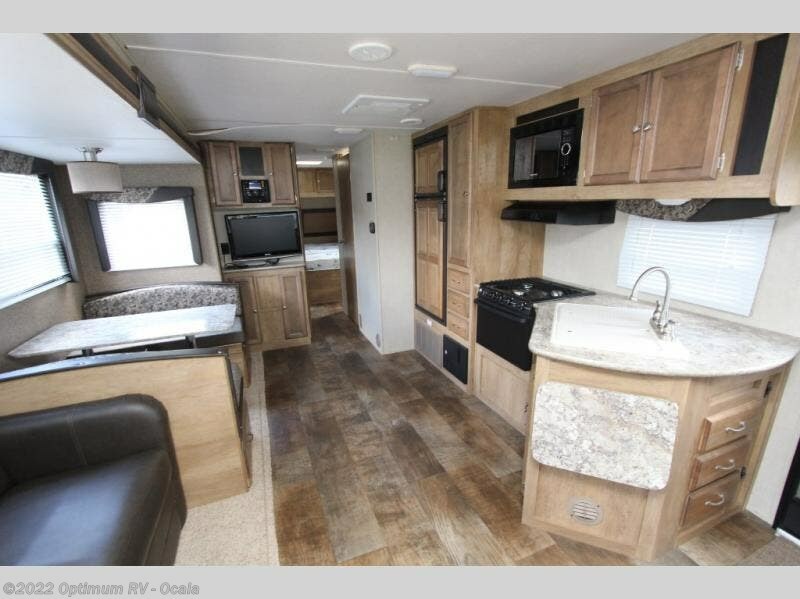 There is also a pantry just off the dinette slide. 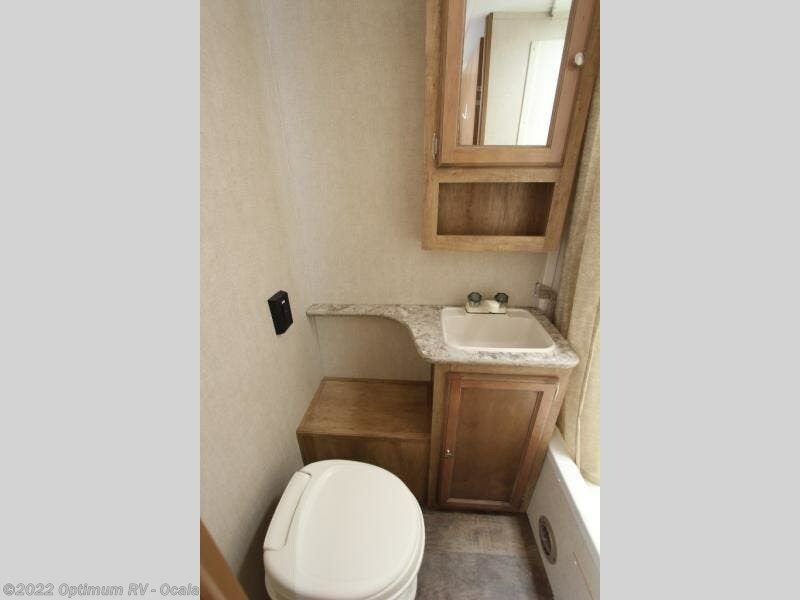 A convenient bath features a tub/shower, toilet and vanity with sink. 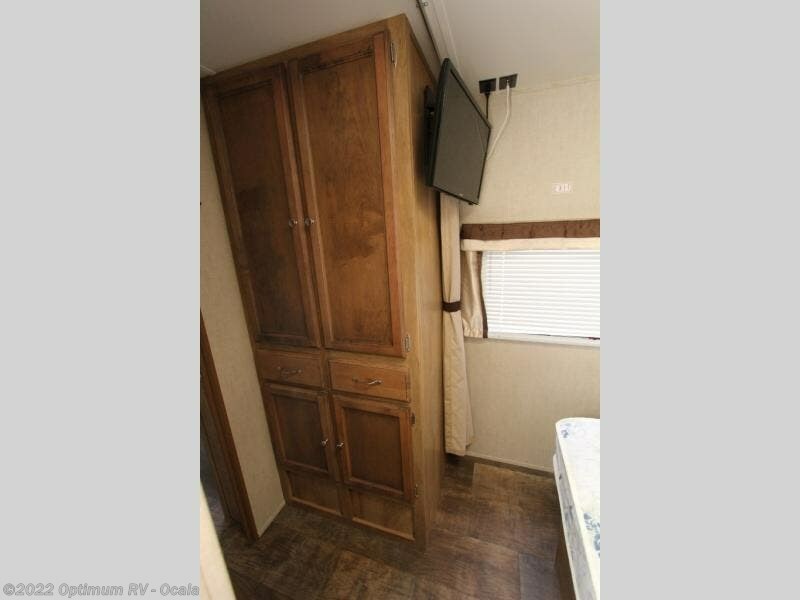 There is a storage wardrobe across from the bath just outside the front bedroom. 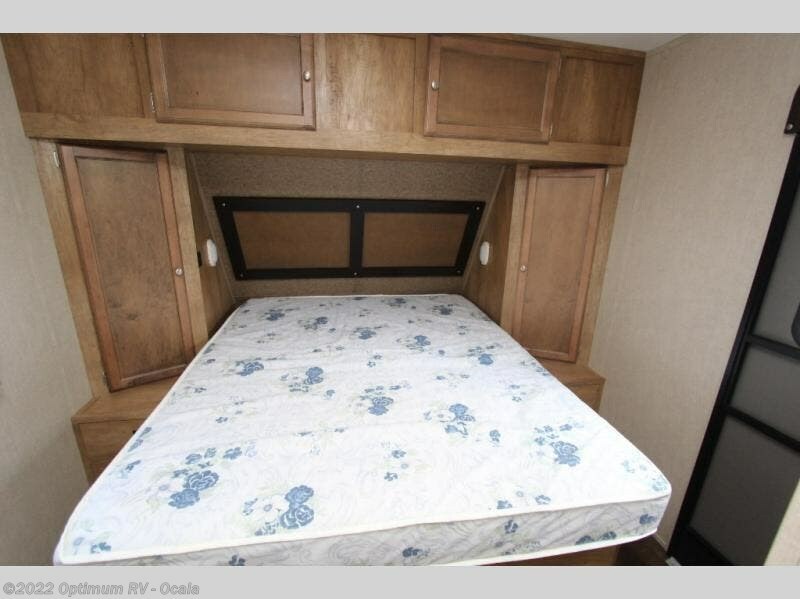 The semi-private bedroom offers a curtain closure for adding privacy at night. 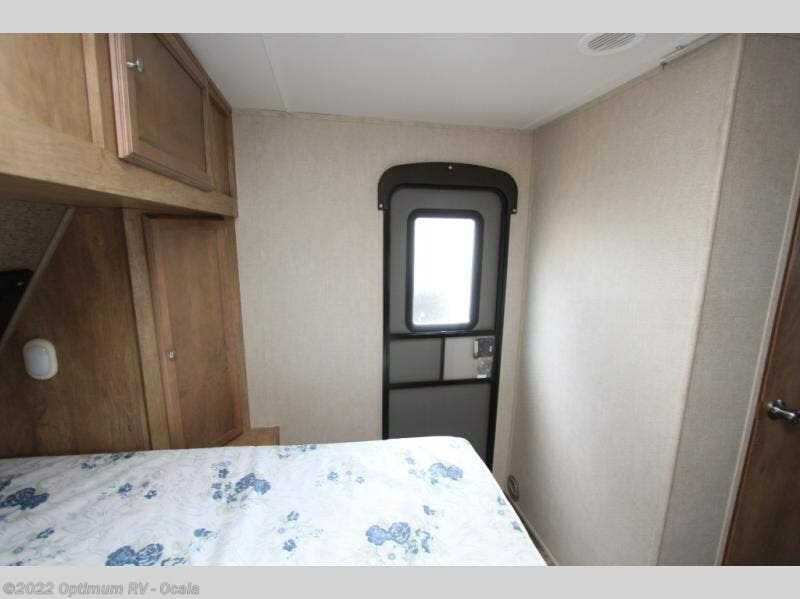 Inside find a queen bed, dual beside wardrobes, and an overhead cabinet, plus its own exterior entry door for added convenience. 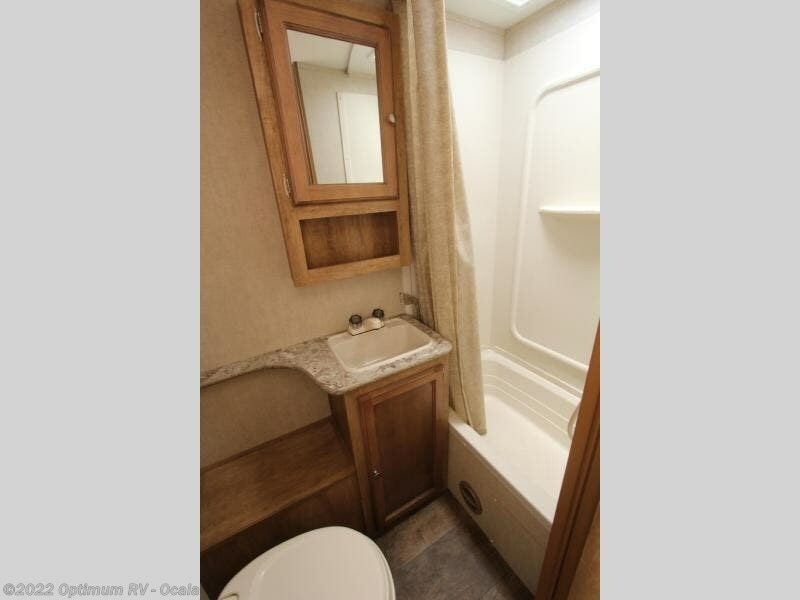 You will also love the exterior storage provided in the front pass-through compartment, and so much more! 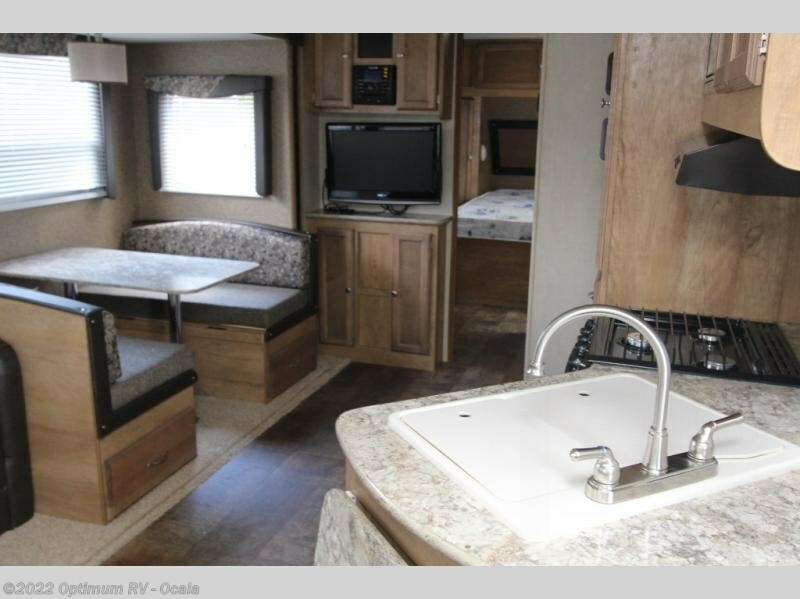 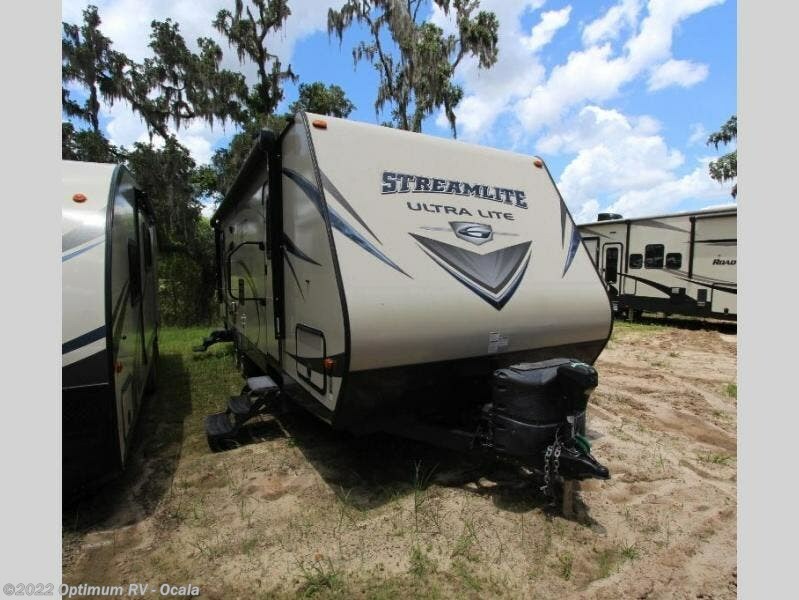 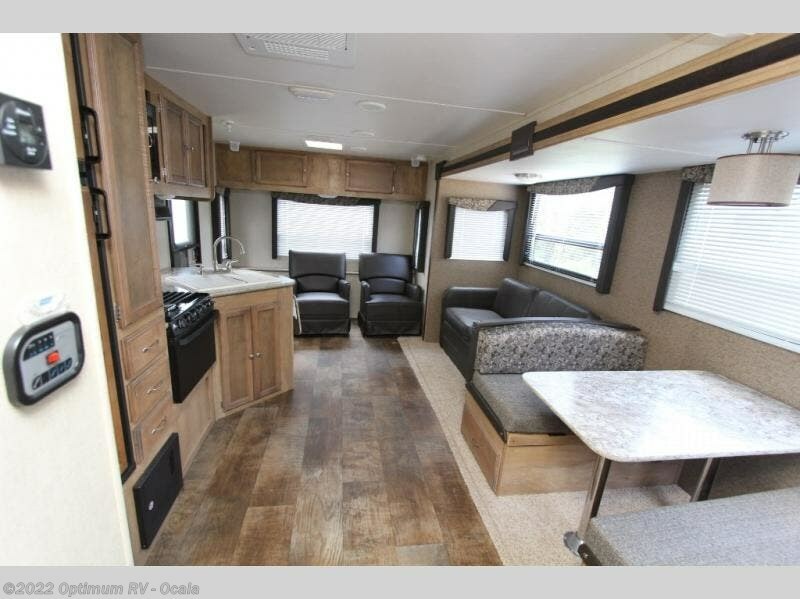 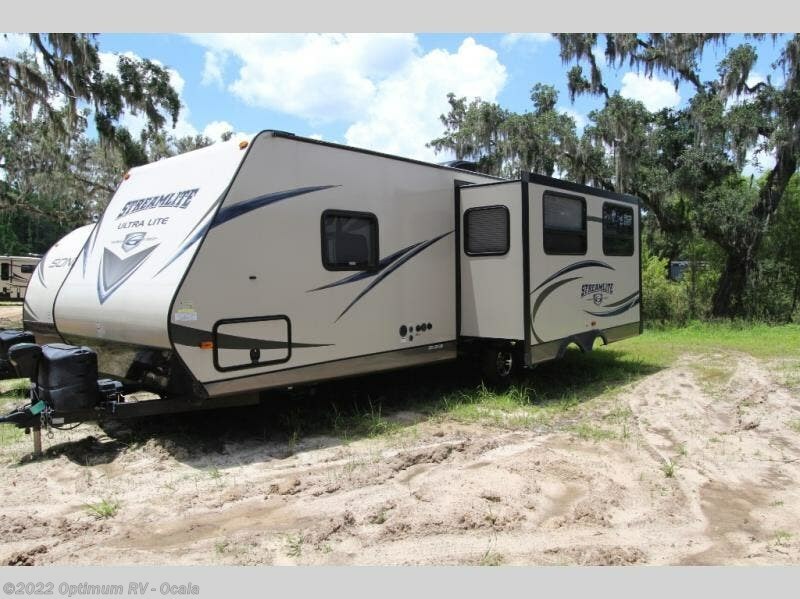 Check out Stock # 0FS442A - 2016 Gulf Stream StreamLite Ultra Lite 28 TCS on gulfstreamrvsource.com!